Garden designers know all about borrowing the outlook from your neighbour and making use of their trees and hedging in your own scheme and the same principles apply when looking at an outdoor room of your very own. 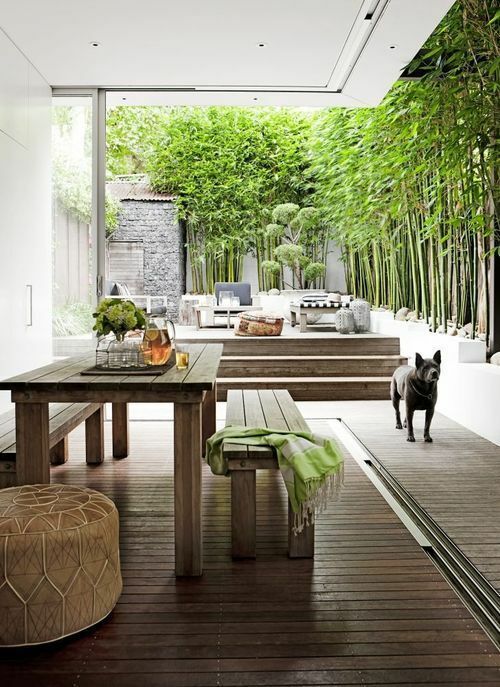 Your indoor space absolutely must benefit from your outdoor area or you are wasting valuable real estate space. I have to say that my favourite part about living in Australia is the amount of time we spend outdoors. Living near the ocean north of Sydney, I can often have lunch outside throughout the year and dinner outside for over half of the year, which is a real treat. My outdoor room is as important to me as my indoor living room. Even for those in colder climates, it is still great to be able to look outside to a garden or even a simple courtyard space and enjoy the beauty of it from the inside. 1) Number one has to be colour. This sounds obvious but if you have a wall that extends outside, it really has to be the same colour or at least the same toning as that from inside. 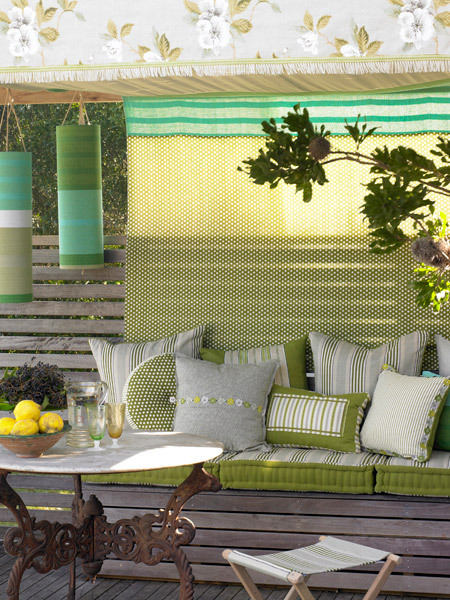 There is no point having a blue feature wall in your outdoor room without having some blue inside, even if it is cushions or lamps. Therefore colour wise, treat the two spaces as one room – you wouldn’t suddenly switch to a different scheme in one half of your living room so you shouldn’t do it here either. 2) Don’t forget the floor. You can continue tiles or stone from inside to out. 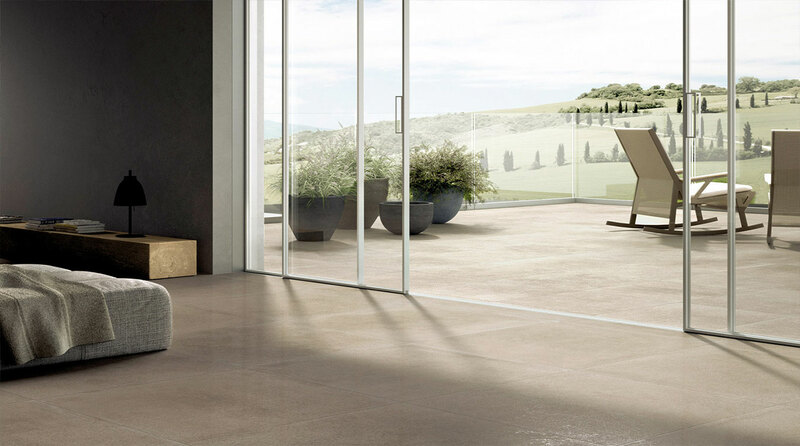 There are lots of tiles that come in a simple honed finish for inside and a non-slip finish for the exterior and these vary so little in their look that you can create a seamless finish between the two spaces. If you can’t get a product that comes in the two finishes then simply colour match the two. Remember Step one here – treat the two spaces as one. 3) Furniture is important here, particularly if you want the space to appear as one room. You wouldn’t have two dining tables in a room, unless you were running a bed and breakfast, so the same applies here. 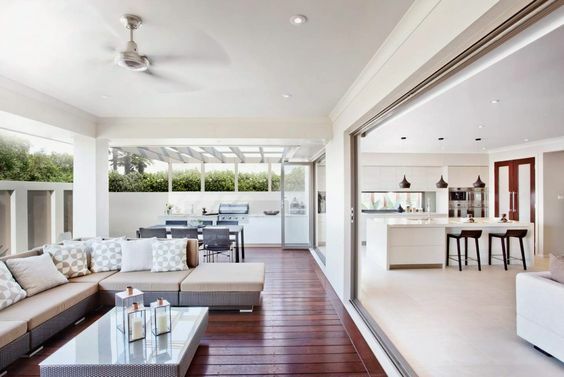 With generous French windows or contemporary stacking or bi-fold door options, the look can be seamless and therefore a dining table inside can be paired with a lounge setting outside. Or of course you can mix these around. It really depends upon what you are using your inside room for. 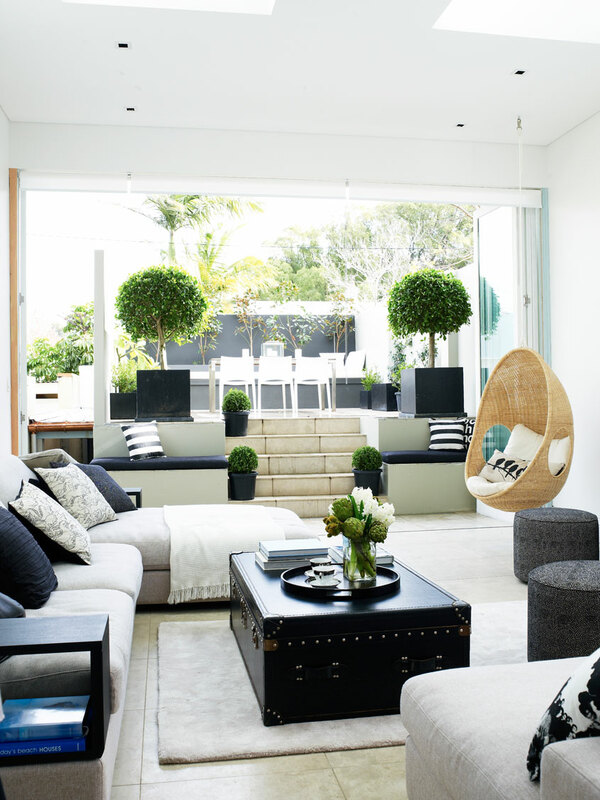 Again, treat it as one space and keep the look coherent with similar designs of furniture. 4) The green stuff. 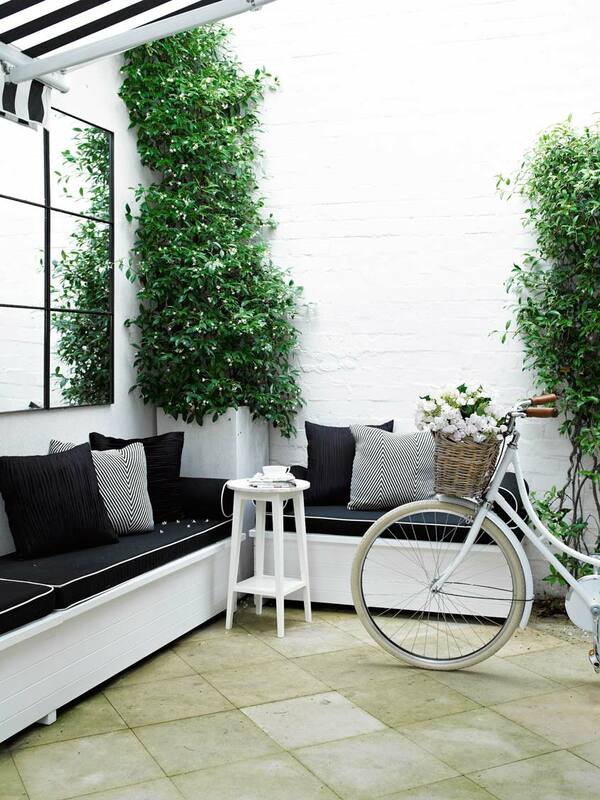 Naturally, a garden space will have greenery which works so well to soften a space so don’t forget the appeal that it can bring to an indoor space. A fantastic indoor palm tree or even a statement vase with magnificent greenery placed indoors will link the space and make it feel like part of the garden room when the doors are open or closed against the elements. 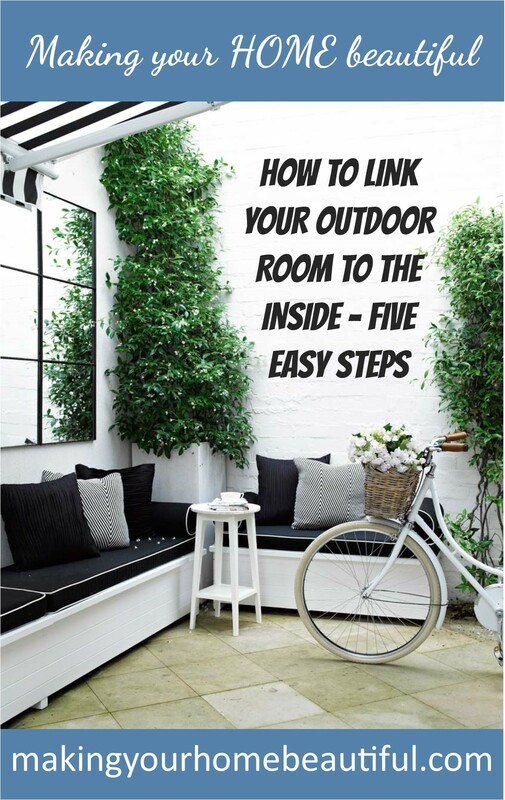 5) Finally, pay attention to the lighting so that you can enjoy your outdoor room and the extra space and look that it creates for indoors, even when the sun has gone down. 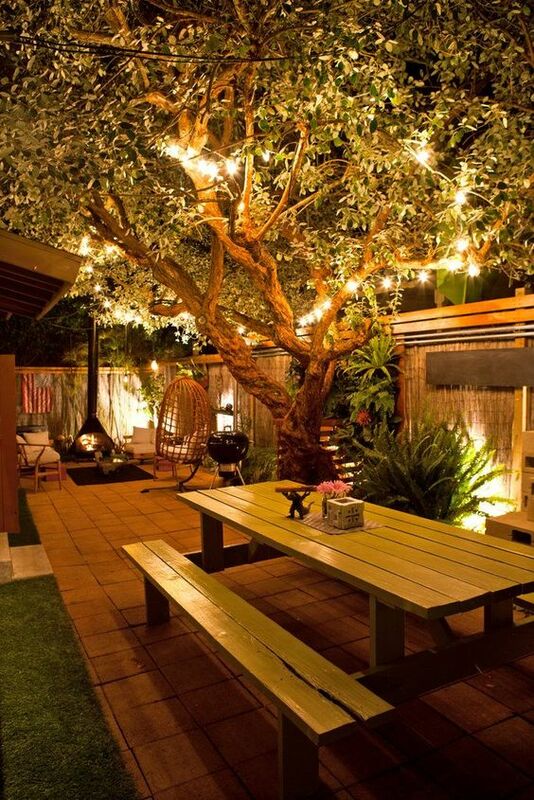 Consider lanterns for party time and simple in-ground solar lights to place under statement trees and plants to bring atmosphere that only well thought out lighting can. 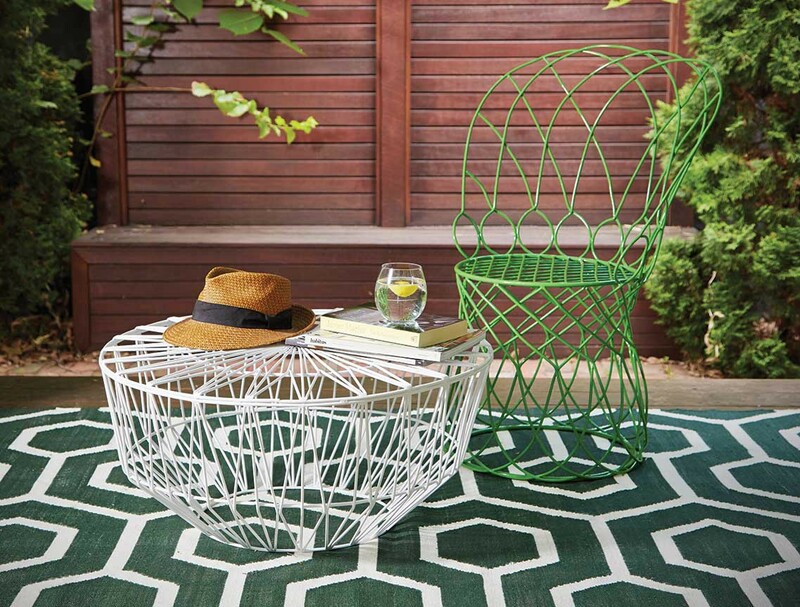 Don’t forget to follow me on Pinterest for lots more inspiration for outdoor rooms.